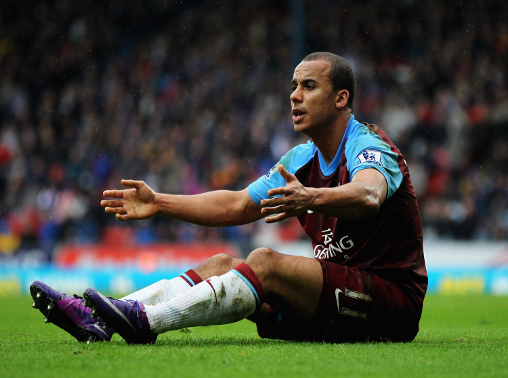 Remi Garde is willing to cut ties with Aston Villa stalwart Gabriel Agbonlahor leave in the January transfer window. The French coach is keen to raise funds ahead of the January transfer window, during which he hopes to invest heavily in his squad as he looks to save the Villains from the seemingly inevitable pull of relegation. The Daily Mail reported earlier this month that Garde had earmarked Agbonlahor as a potential spare part at Villa, and would not be against the forward’s departure, despite his long-standing relationship with the club. Seemingly confirming the earlier reports, The Sun have reported that Garde has dropped the England international’s asking price to just £3 million as he looks to tempt buyers into moving for the speedy attacker. The 29-year-old has attracted interest from United Arab Emirates trio Al Wasl, Emirates and Al Ahli, according to the tabloid, any of whom may opt to move for the injury-prone frontman in January. Excluding brief loan spells at Watford and Sheffield Wednesday, Agbonlahor was been at Villa for his whole career, although a move away from the club may see him saved the anguish of relegation, with the Birmingham side currently sitting bottom, a whopping nine points from safety.